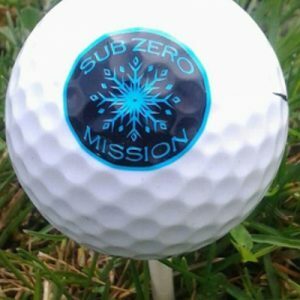 The Sub Zero Mission holds several fundraising events during the year. Event participation is among the most popular way to help fund the work we do. 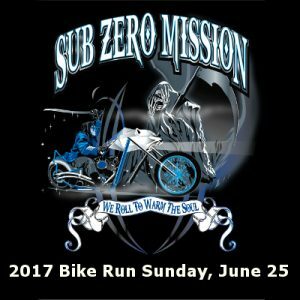 The Annual Bike Run is a fun way to help raise money and awareness for Sub Zero Mission. Get all the info here. The Golf Outing returns in 2017. This very popular event will soon have a date and location. Get all the info here. 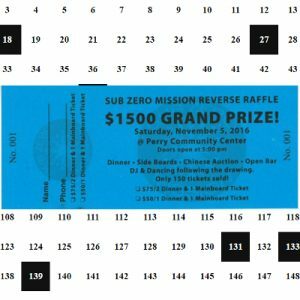 The annual Reverse Raffle is extremely popular and very important for Sub Zero Mission. Details will be released soon.